Staff members of the Al-Quaraouiyine University, Établissement Dar El Hadith El Hassania (Morocco) are visiting the IUR this week in the scope of the Erasmus+ 2014-2020 Mobility Programme. 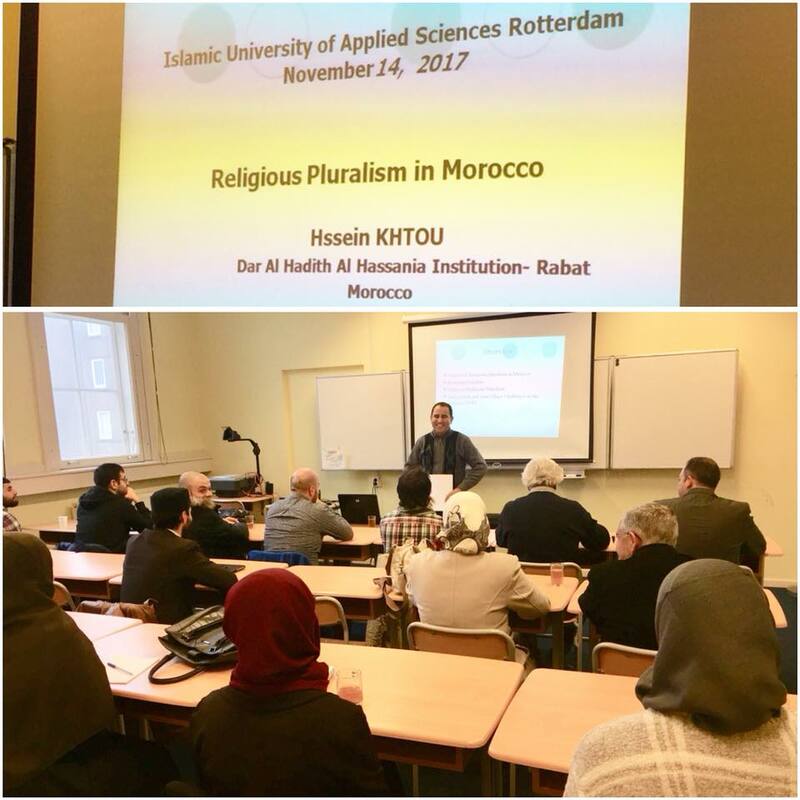 Today dr. Hssein Khtou lectured IUR-students about the topic ‘Religious Pluralism in Morocco’. Furthermore a guest lecture entitled ‘The role of religious education in fighting extremism’ is planned later during this week. Islamic University of Applied Sciences Rotterdam and world’s oldest university Al-Quaraouiyine, Établissement Dar El Hadith El Hassania cooperate actively within the exchange programme of the European Commission. Students are being offered the opportunity to develop their theoretical, linguistic, intercultural and communicative skills while staff members are enabled to professionalize their selves further in didactics.